When I first contacted Allan Peters we discussed changing the facade and thereby changing the first impression of our 37 year cabin. 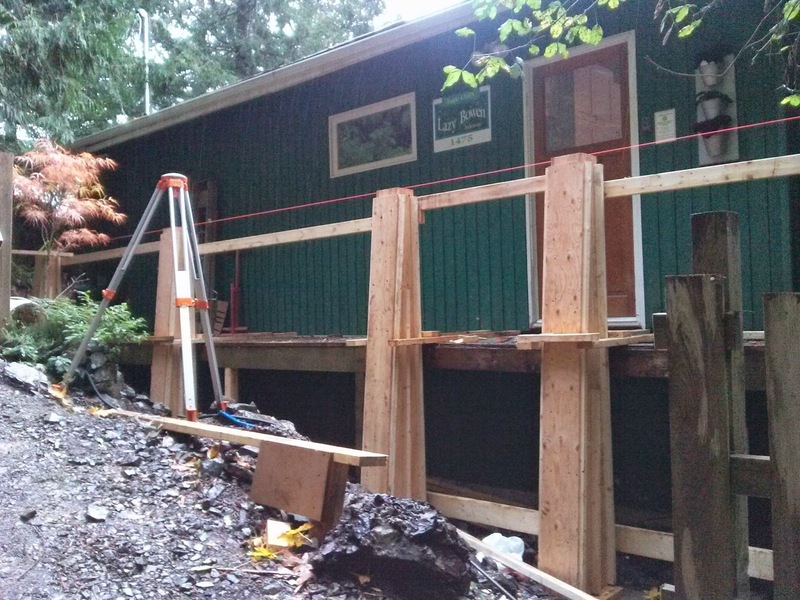 How could we add more character to the entrance of the Lazy Bowen Hideaway? For starters, the guys have added cement columns/ posts that will be acid washed to look like sandstone. It took Ben and Chris nearly 2 full days to level, nudge, and perfectly place the forms to make them ready for the concrete pour. These new concrete posts are reinforced with re-bar and reach straight down and anchor tightly to the bedrock. 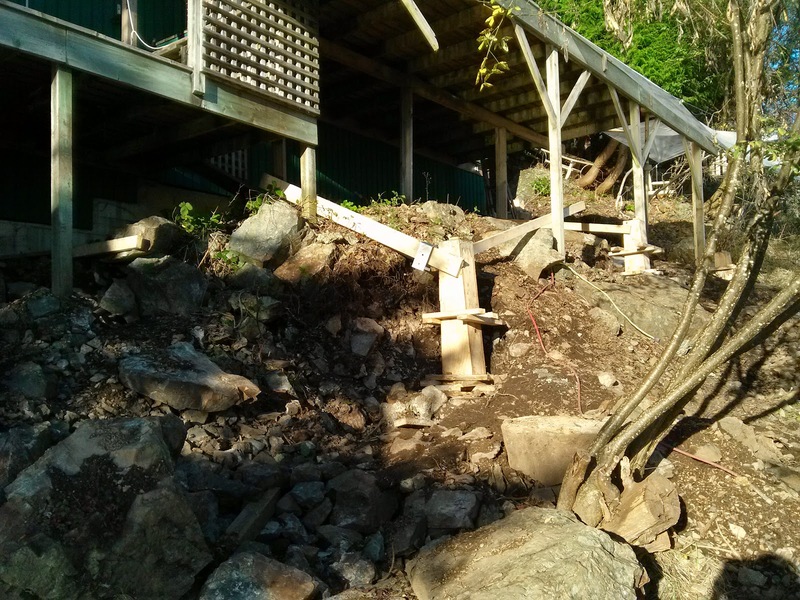 We are one of the very lucky Eagle Cliff properties as our entire foundation sits on solid bedrock. 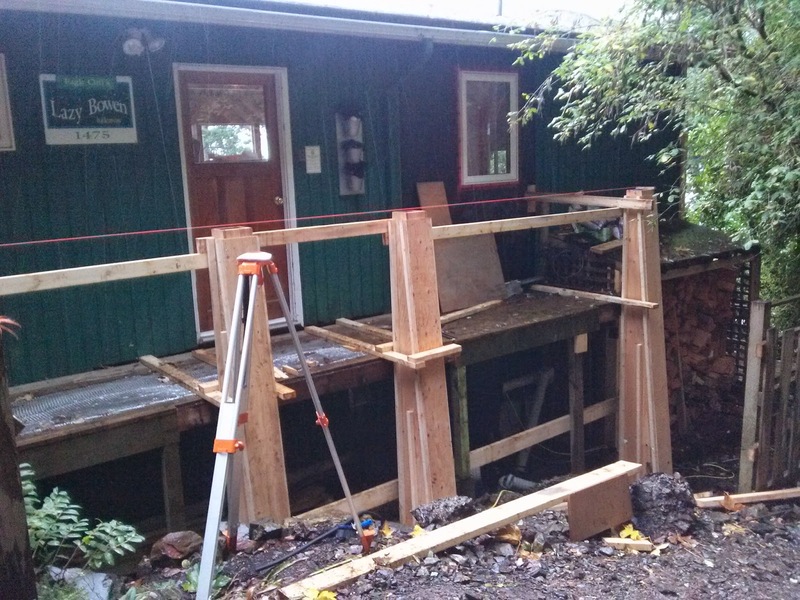 And now, the house and decks will be even more solid going forward. 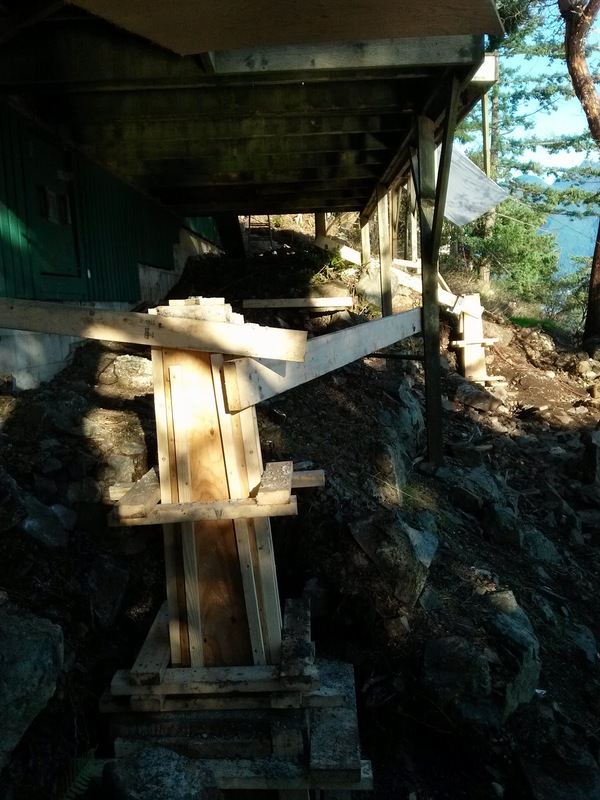 Yesterday Ben and Chris got the new posts poured for the seaside deck. The shape of the concrete plinths repeat the shape of the plinths on the road side of the house. 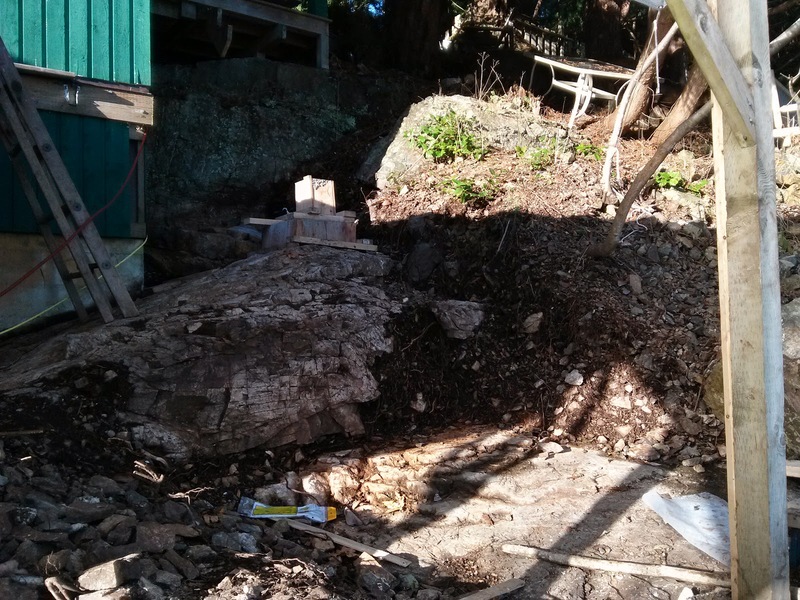 While they were digging for bedrock they cleared some gorgeous stone that will be incorporated into the natural landscaping. 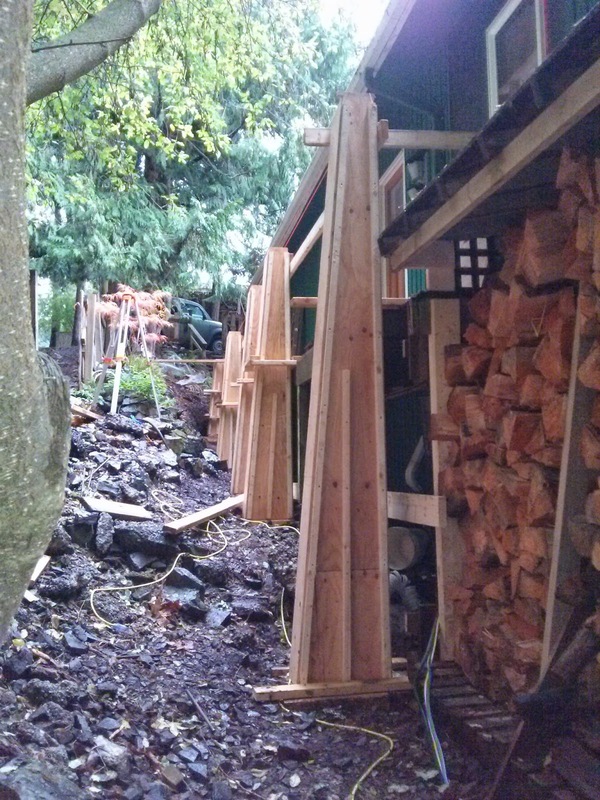 What amazes me is that all these old posts will be replaced with 1/3 of the posts.......bigger, stronger lumber to support the existing decks made anew. Too bad the guys couldn't work today in the sunshine.......it would be a change from the pouring rain.